Lecithin, as mentioned in this previous post, effectively clears and prevents plugged ducts. 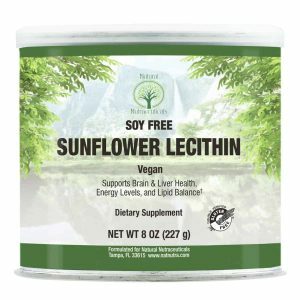 Sunflower lecithin is the most popular lecithin supplement available today. Aside from being an active part of a breastfeeding mother’s regimen, sunflower lecithin has other significant benefits as well. Sunflowers undergo the process of dehydration or taking moisture out to obtain sunflower lecithin. Manufacturers press the sunflower seeds down after the dehydration process and extract the lecithin out of the seeds’ gum. They process it through a cold-press system, similar to the one used in the production of olive oil. This lecithin undergoes a natural and clean process without the addition of harmful chemicals. This makes the lecithin from sunflower highly desirable. Lecithin from sunflower, after being extracted from the seeds, can be produced into a powder, liquid, or a gel capsule. Sunflower lecithin is a compound or collection of different phospholipids. A phospholipid is a class of lipid of fats that is the main component of cell membranes, therefore this substance is of great importance. Most people might think that all lipids and fats are bad for our health, but no. The phospholipid from sunflower lecithin is a great example, which is a great food supplement with so many awesome health benefits. We can find significant phospholipids in sunflower lecithin which includes choline, phosphatidylinositol, and phosphatidylcholine. Sunflower lecithin, being a natural emulsifier, helps in the reduction of unhealthy and unwanted fats. You can get lecithin from your daily food intake, but supplements will sure help you in adding the appropriate amount of lecithin you need. And sunflower lecithin supplements is one of the best ways to do that. Experts recommend the intake of lecithin as a solution or prevention of plugged ducts. And many moms have proven and found that taking lecithin helps resolve and prevent recurrent plugged ducts. Lecithin may decrease the viscosity of breast milk so that it will be less likely to clog your milk ducts. Some mothers may not get enough lecithin in their diet to naturally support milk flow during breastfeeding. In these women, taking lecithin supplements are of great help and may have benefits. Read more on lecithin and plugged ducts here. The use of sunflower lecithin has a very remarkable effect on cognitive and neurological health. Lecithin from sunflower is abundant in essential phospholipids that help in the repair and strengthening of brain and nerve cells. Not only that they do good for the brain cells but also assist in the improvement of memory, therefore avoiding memory gap. A good memory is a good indicator of an active and healthy brain. Sunflower lecithin can also be of great help when it comes to degenerative brain diseases. This includes dementia and Alzheimer’s disease. Regular and appropriate supplementation of sunflower lecithin can speed the process of neural regeneration. It will also protect the brain and nervous system and continually improve brain health. Lecithin from sunflower significantly helps in blood circulation improvement to avoid blood clots and other related complications. As mentioned above, sunflower lecithin is an emulsifier that helps in balancing the lipids or fats and rid the excess fats from your bloodstream. Bad cholesterol and triglycerides comprise these excess fats, therefore getting rid of them will lower down and will help you control your cholesterol levels. 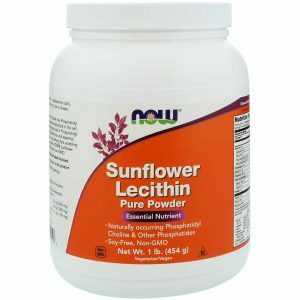 Through this, sunflower lecithin will be able to aid in lowering the risk of atherosclerosis, stroke and heart attacks. 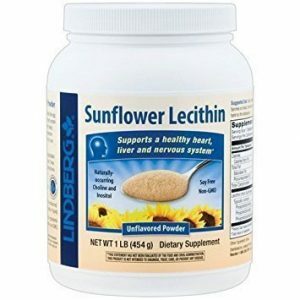 Sunflower lecithin which is abundant in linoleic acid is a very useful supplement to help protect and continuously improve your heart health. It can also aid in lowering blood pressure. Many of us are truly aware of the good things antioxidants has to offer. And another good thing is that sunflower lecithin is packed with antioxidants that will be good for your health. There are tons of antioxidant compounds found around us, like flavanols found in cacao, lycopene in tomatoes, cafestol in coffee beans, resveratrol found in wine, and so much more. Phosphatidylcholine, for one, is one of nature’s most potent antioxidants and it is abundant in sunflower lecithin. Antioxidants are molecules or compounds found in food and supplements that can stop or delay damage to cells. They prevent free-radicals from damaging and destroying cells in our bodies. If you get too many damages internally and externally, it can lead to more serious problems like certain cancer and other illnesses. You are also exposed to free-radicals or oxidants daily like smoke and alcohol, so it is important that you maintain a good amount of antioxidants in your body. Sunflower lecithin can help you with that. A large population of adults experiences a common liver condition called NAFLD or Non-alcoholic fatty liver disease. This happens when the fats or lipids are accumulated in the liver instead of being excreted through the bowels. If not controlled or treated, this might lead to a more severe problem which is Type II Diabetes, liver cirrhosis or liver scarring, and possibly even liver cancer. Phospholipids which is found in good amounts in sunflower lecithin plays an essential role in liver health. It helps in the prevention of excessive fat build-up in the liver and keeps it in excellent working condition. It is important to keep the liver free from too much fat to avoid other health problems and complications. With a great deal of proper sunflower lecithin supplement intake, reduction of excess fat may be aided. If you have been experiencing specific stomach problems or digestive disorders, then lecithin will be able to help you. Sunflower lecithin can protect your irritable or sensitive digestive tract lining. It will be able to do so by improving the mucosa of the intestine because of its emulsifying capabilities, therefore aiding in digestion. So, if you have certain digestive tract disorders such as colitis or irritable bowel syndrome, sunflower lecithin will be of great help for a better digestive system. It is suggested than sunflower lecithin can be applied directly to the wound for immediate and faster healing. The phospholipid in sunflower lecithin also helps significantly for a faster wound healing process and stimulating the immune system. It is also because of its antioxidant properties that sunflower lecithin can boost the immune system. The linoleic acid together with other essential fatty acids in lecithin also aids in the faster release of inflammatory transmitters to the injuries and wounded areas of the body. This results in a quicker healing process. Lecithin can effectively lubricate joints in the body. So, if you have arthritis or suffering from joint pains, then sunflower lecithin is an effective aid. It can help in preventing the joints to stiffen up that may result in pain and discomfort. Sunflower lecithin supplementation can be helpful in preventing painful joints and relieve pain due to pre-existing conditions, such as arthritis. The lecithin from sunflower can also effectively reduce inflammation in your body, particularly the joints. Being free from estrogen is another feature of sunflower lecithin. Too much estrogen can lead to numerous metabolic and hormonal issues such as weight gain, sexual dysfunction, early menopause, irregular menstruation, acne problems, and breast growth. Unlike soy lecithin, the sunflower variety cannot cause a spike in your estrogen levels. With the sunflower lecithin, you can make sure that your hormones are in the right place at a right level. 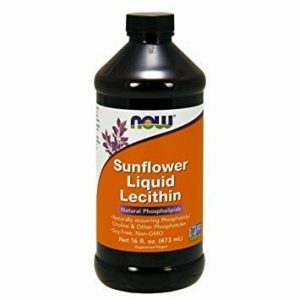 The sunflower lecithin supplements by NOW Foods come in three forms: soft gel capsules, powder, and liquid. This gives the consumer many options to choose from and which type of supplement will work best for you. Many breastfeeding moms also love this supplement since this effectively relieves their plugged ducts for much easier and painless breastfeeding. This is also an effective nervous system supplement; many people have used the NOW Sunflower Lecithin to relieve migraines and headaches. NOW Sunflower Lecithin supplements have phosphatidyl choline, phosphatidyl inositol, phosphatidyl ethanolamine, and essential fatty acids. They are non-GMO and soy-free. Powder: Take 1 1/3 tablespoons daily, preferably with a meal. Mix in juice or shakes, or sprinkle on food. Store in a cool and dry place. Liquid: Blend 1 tablespoon of liquid sunflower lecithin into milk, protein shakes or vegetable juice. May also be used in salad dressings/sauces or as a non-stick coating on pots and pans. Softgel capsules: Take two soft gels daily with food. Store in a cool, dry place after opening. 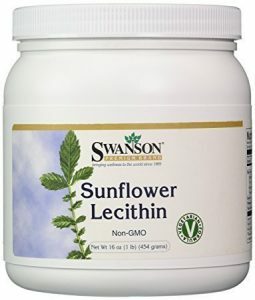 The Swanson Sunflower lecithin comes in powder form and soft gel capsules. The powder form of this supplement blends easy and forms no clumps when mixed with any beverage or food. 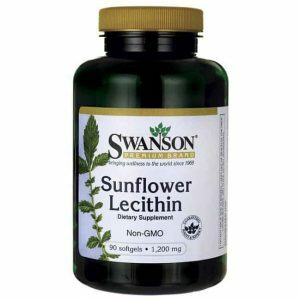 The sunflower lecithin supplements by Swanson are easily absorbed and proves effectivity when it comes to improving heart health and lowering cholesterol. They are also non-GMO and soy-free. However, manufacturers indicated that their sunflower lecithin might be extracted with acetone/hexane. The particular solvent may vary; regardless, it is verified that all solvents are evaporated off during final production. Many mothers also use this lecithin supplement to prevent plugged ducts. Powder: Add three tablespoons (15 grams) per day to smoothies, popcorn, pasta, cheese dishes, yogurt, or salads. It goes well with liquids such as soups and fruit or vegetable juices. Softgel capsules: As a dietary supplement, take one soft gel one to three times per day with food and water. 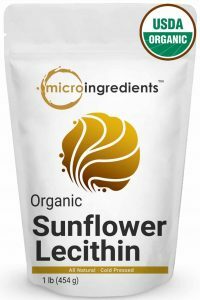 This organic sunflower lecithin in powder form claims to be a hundred percent natural with no additives and preservatives. Like any other sunflower lecithin supplement, this one also contains powerful antioxidants and essential fatty acids. The abundance of essential fatty acids helps to strengthen nerve tissues. They also increase neurotransmitter activity. This comes in powder form for easy absorption. This supplement is effective in removing excess fats from the bloodstream, therefore, lowering blood cholesterol. The micro-ingredients organic lecithin supplement also claims to effectively repair and strengthen brain and nerve cells. Take 10g or 1.5 tablespoons twice daily with milk or beverage of your choice. Individual needs may vary, feel free to consult your physician for best results. This sunflower lecithin unflavored powder guarantees potency and purity. It is free of artificial colors and flavors, soy free and non-GMO. This supplement from Lindberg supports a healthy heart, liver and nervous system and has naturally occurring choline and inositol which improves memory and learning. You can have all the benefits of sunflower lecithin while enjoying the mild and nutty taste of this unflavored and unsweetened lecithin powder. Take 1 tablespoon, 1-2 times daily. Sprinkle on foods, mix into a beverage, or enjoy its mild, nutty taste by the tablespoon. Producers extract sunflower lecithin in a natural way, without the use of chemicals. This product from Natural Nutra is free of artificial colors, flavors, and preservatives. It is also soy-free and gluten-free. The Natural Nutra sunflower lecithin powder supplement is a great way to consume soy-free lecithin. This supplement claims to improve cognitive function, lower cholesterol and blood pressure, and also improve liver health. Take 2 tablespoons. Mix with your favorite drink or sprinkle on your everyday food. Both sunflower and soy provide a good deal of lecithin. Although there are still differences between the both of them. Sunflower lecithin is extracted in a pure way that is free of chemicals and just pure mechanical process. Most sunflower lecithin is also obtained organically, naturally, free of GMO and allergen-free. Unlike soy lecithin, the sunflower ones are estrogen free. High level of estrogen in soy lecithin may cause hormonal problems. Also, most soybeans, from which lecithin is extracted from, are genetically engineered. Soy lecithin also requires chemicals for lecithin extraction. There are some potential side effects of consuming soy lecithin and these definitely need to be outlined and considered. These side effects would include: stomach pain, abdominal discomfort, diarrhea, nausea, feeling of fullness, and a few other unknown side effects. Although most folks do not exhibit any symptoms or side effects, each person is different and has a different risk tolerance to these side effects. When it comes to affordability, soy lecithin products are a lot cheaper. Soy is also a great source of protein that is why many consumers still prefer soy lecithin, plus it is an effective way to allow the protein to be water-soluble. Yet, for those who want a chemical free and GMO-free supplement, sunflower lecithin is a good choice. Many people are also allergic or may develop an allergic reaction to soy. Many prefer sunflower lecithin and it remains extremely popular because of sunflower not being an allergen. Sunflower lecithin is also the only kind of lecithin that can be obtained raw and chemical-free. Both sources deliver a good and helpful amount of lecithin with great benefits. You would just have to know which type will be best for you and will work well for you without giving you too many side-effects. It is possible to acquire lecithin from your diet, and it is a great idea. The popular food that is rich in lecithin includes eggs, sunflower seeds, cabbage, cauliflower, whole grains, chickpeas, caviar, green beans, meats, nuts, soybeans, milk and many more. And you should constantly include a few of them in your daily food intake. But if you want a good daily dose of lecithin, taking a supplement is the best way to do it. 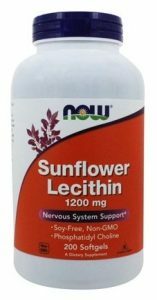 Sunflower lecithin supplements are one of the best ways to give your body the lecithin it needs.